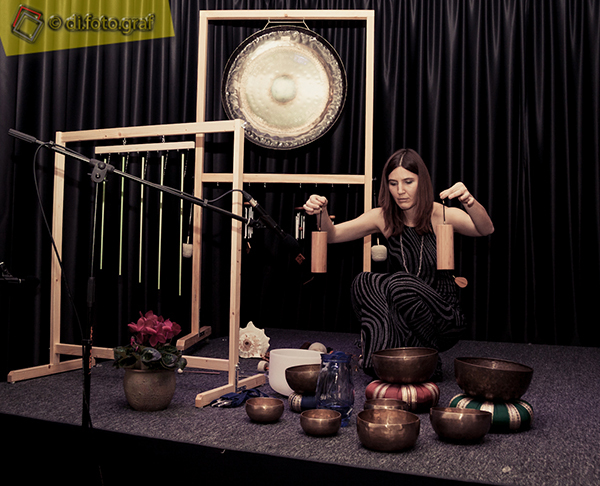 which has helped many people (the gong originates from around 4000 BC) and civilizations. Sound regulates the function of the two brain hemispheres. While listening to sounds the brain enter the alpha or even theta frequency, the state of deep peace. The electromagnetic waves of our nerve cells expand and begin to weave new paths in the brain, new networks, activating those parts that have been asleep. It feels as if the electricity passed into our bodies. At that point, we enter into our subconscious and become liberated from all fears, thoughts, negative patterns, beliefs, emotions and energy blockades, which would otherwise be transmitted to our physical body and damage it. The sound reaches into our every cell, we do not only listen to it with our ears, therefore, it has a greater power of transformation. With the support of sound our four bodies (mental, emotional, physical and spiritual) can feed on pure original love and lead us into a subtle state of pristine feelings, thoughts, conditions in our subconscious, which are loosened more easily and transformed into a new foundation. This can also activate many unusual sensations and ‘miraculous powers’. This is especially the case when listening to the sound of crystal instruments that support us in our tunning to the high frequency of the light, governed by different laws of other dimensions. Crystals namely represent purity and high consciousness of Mother Earth, their frequencies support us in the transformation, they nurture us and raise our consciousness. They allow us to take a step forward in our awareness of ourselves and bring new information to Earth. Produces sound according to the principle of the golden ratio (Fibonacci sequence), thus, it harmonizes us on all levels. 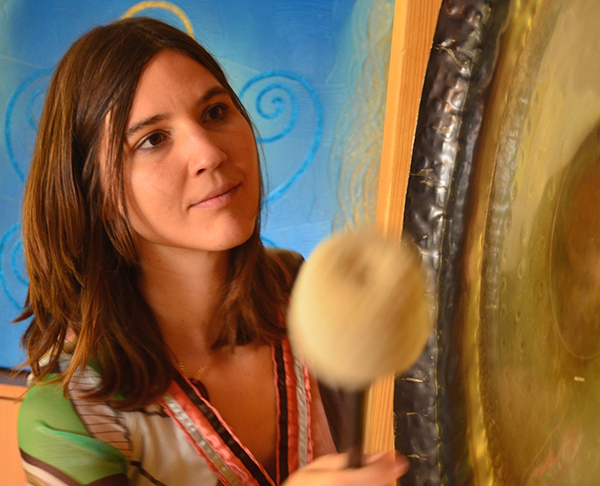 It is interesting that listening to the sound of gong acts as listening to a universal orchestra – it works on the fractal level (no melody), therefore, it does not allow us supervision or control, so we are completely relaxed and can see the internal state of deep calm. Tibean singing bowls are used for millennia in our method of treatment. 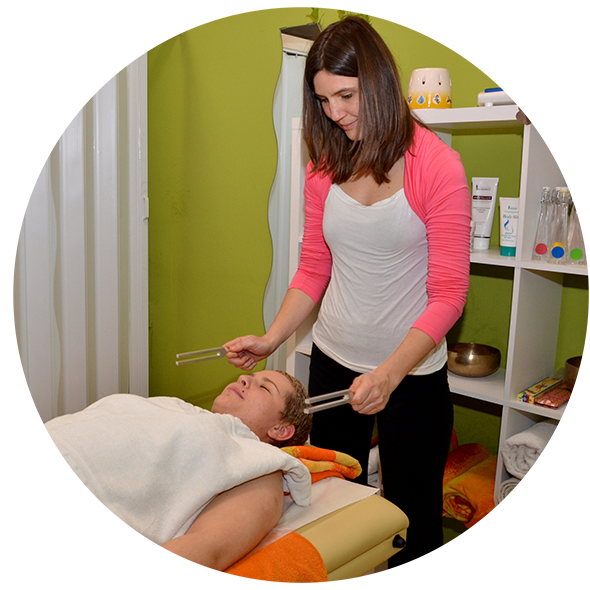 They are used in sound massage: from the place where the bowl is placed on the body and played, holistic sound vibrations expand through blood, lymph veins and energy routes, vibrating every cell, every atom of the body. 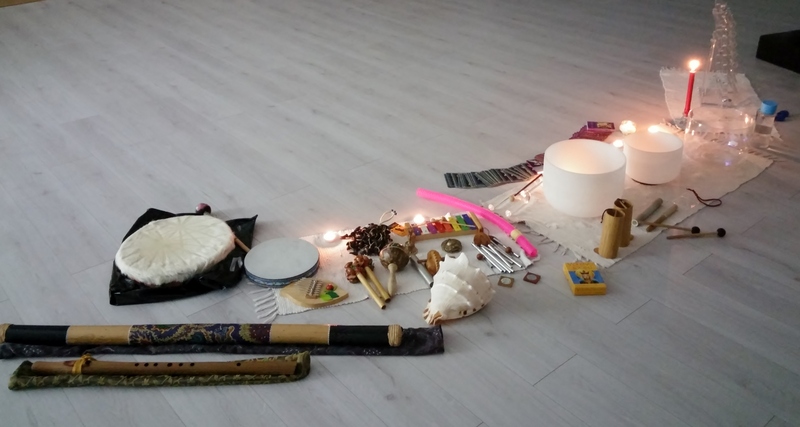 Sound has the vibration of the white light which is refracted at the end into a rainbow palette, and by playing on the acoustic crystalware it directly impacts our chakra. It has the power to bring about a positive shift in our consciousness. The properties of containers have the same electromagnetic fields as there are in all life forms. Pure quartz enables the balance of our own electromagnetic energy. Through the pure tone of crystalware we can reprogram the energy field of the individual and thereby influence the cellular health of our being. The sounds of crystal lyra carry us into an extremely high-frequency state of consciousness and existence, and help us to open ourselves to the sensory perception. The crystal lyra creates harmony which we feel as light and easiness. The vocals is our greatest tool that we constantly carry with us, the tool of healing. Laughter is our highest frequency. Other instruments include: shamanic drum, chimes, tings, rattles, flexatone, metalophone, Indian flute, padlocks, … and other unusual instruments. For support and empowerment of our bodies on physical, emotional, mental and spiritual level. How do you direct your energy into your everyday life? What do you do when you feel the tension, stress? Sound ascends events to a higher level, supports their purpose and brings joy to the participants. It is time to integrate our use of knowledge and transfer it into everyday life. Every experience counts.